Thousands attend event marking 3 years since body of soldier Oron Shaul taken by Hamas. Some 3,000 people attended an event Wednesday evening in the northern Israeli city of Tiberias, marking 3 years since the murder and kidnapping of IDF soldier Oron Shaul by Hamas terrorists in Gaza. During the battle, Shaul had left his armored personnel carrier to repair a broken part when the vehicle was fired on by Hamas terrorists. 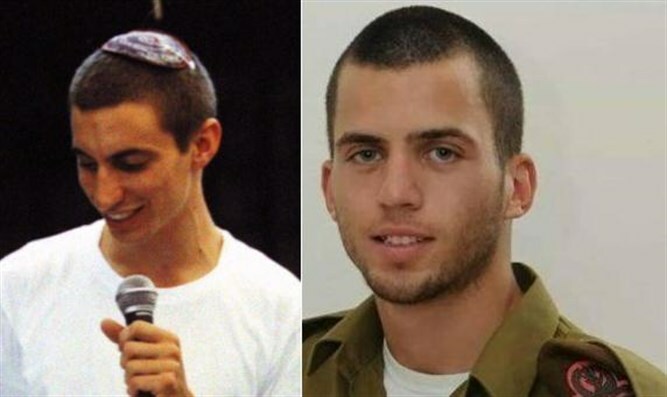 Shaul’s body was taken by Hamas to be used, along with the body of soldier Hadar Goldin, as a bargaining chip for future prisoner swap agreements with Israel. While the IDF has defined Shaul as “dead, with burial place unknown,” Shaul’s mother Zehava has refused to conclusively accept this definition.